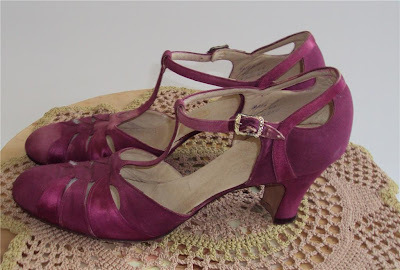 If I could wear a 9 Narrow, I've be all over these plum t-strap pumps. Almost 90-years-old and the satin is in better shape than what I've seen in some stores. 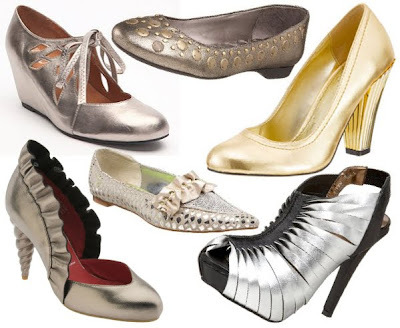 They have adorable rhinestone buckles an comfortable Louis XIV heels. As I'm writing this, the listing sits at $24.99 with no bids. Auction ends July 13th. PINK! I love love love pink!! Those are such a find! 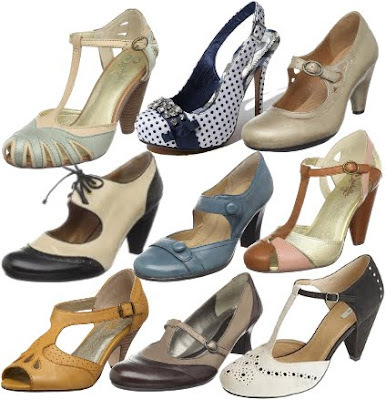 Why does it seem every cute pair of vintage shoes are insanely narrow!? I don't know! Maybe it's because people in general are larger now, and our feet tend to spread due to poor shoe support? love these shoes and only wish I had bought them! Had I known!